Anna Martin had a wish. She loved the 65 acre farm on Leavitt Road in Lorain where she lived out her final days. With its lush fields and forested lots, she wished for it to provide young girls and women with the opportunity to experience the outdoors, to be active, and capture from it the very things she cherished so much. So, when she died, she bequeathed her property to a local nonprofit (Lorain YWCA) with the intent that they use it to provide recreational opportunities for young women. Her last wishes stipulated that the farm be kept in good repair and as near to its natural condition as she had known it. What Ms. Martin could not have known was that a monumental gift to the nonprofit organization would require an equal amount of capacity to administer and fully realize her wish. The organization invested great sums in maintaining the farm, but was never able to develop it to fulfill Ms. Martin's charitable intentions. Further, after 30 years of stewardship, the organization could no longer afford to maintain it. To fulfill the charitable goals of Anna E. Martin, the organization ultimately wanted to sell the property and use the proceeds for programming for women and girls. Anna's dream deferred even longer. In 1994, the probate court permitted the nonprofit organization to sell the property to a church which promised to put the land to the use Anna Martin had envisioned. Despite investing $170,000 to develop the property with buildings, sports fields, and other facilities benefitting children & young adults, the church also reached an impasse in its ability to fulfill the charitable purpose for which the land was to be used. The church proposed in 2004, after 10 years of owning the farm, to sell the property to a developer and offered to release a portion of the purchase price to local charitable organizations. The matter was left to the courts to decide: how can Anna Martin's last wish be realized' In 2006, the probate court determined, "After 42 years where no one has used or benefited from Anna E. Martin's bequest, now is the time to carry out her charitable purposes as is consistent and is practical with the realities of 2006 and the future." The farm would have to be sold since clearly no steward could be matched with it and carry out Ms. Martin's intent. The proceeds of the sale would then communicate her legacy forward, but where should the money be directed" There were no shortage of nonprofit organizations in need in the county, but which one could best fit the purpose and intent and be a permanent steward of her legacy"
Brian Frederick, President/CEO of the Community Foundation of Lorain County, saw the possibility for a solution and presented it before the court. The probate court could place all of the charitable proceeds into endowment funds in the name of Anna E. Martin with the Community Foundation. The Community Foundation would then invest the principal amount of the Fund and a percentage of those earnings would provide sustainable ongoing operational support to non-profit organizations with missions that aligned with Anna Martin's bequest. 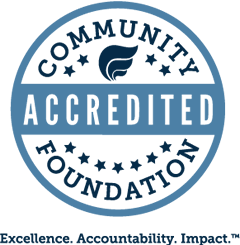 Further, the Community Foundation was a well-established grant-making entity in the community and already had the capacity and sustainability to administer the grant money in Ms. Martin's name. Anna Martin's desire to support girls programming at the YWCA continues to be supported through the two YWCA funds, which receive designated grant distributions annually. The Anna E. Martin Fund for Women, at the Community Foundation of Lorain County, supports charitable programs and services for women, girls, and their families in Lorain County. It has awarded over $260,000 in grants since 2007. 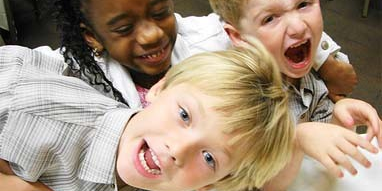 In 2014, Anna's legacy provided $15,000 in support for Family Promise of Lorain County. Family Promise serves homeless families with physical custody of at least one child under the age of 18 years. The organization does not have a physical shelter. Instead, it works with congregations to use space in the churches to provide overnight shelter for homeless families. Family Promise has the capacity to serve 14 individuals at any one time. In 2013, the average stay was 57 days and Family Promise served 53 individuals, 29 of which were children under the age of 18. Ninety-eight percent of the families are single mothers. Volunteers cook and serve meals, help children with homework or engage them in other stimulating activities, and provide overnight security by staying with the families at the host church. All volunteers have had mandatory background screenings.